Strengths: Anigbogu has the physical tools to be a really solid player. He possesses extra long arm length that plays well to his advantage on the defensive end and on the glass. 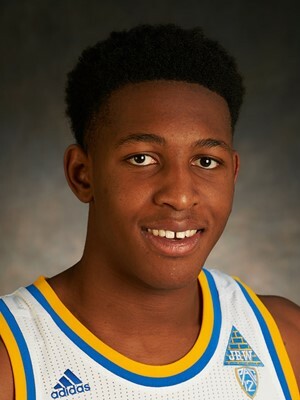 His post game has improved greatly during his time at UCLA, including the ability to turn over his shoulder for right-handed jump hook. He finishes lob passes very well, which makes him a consistent target for guards to throw him alley-oops. Defense is where he the most to offer. He has great timing and blocking ability. He is really solid when he can rebound the ball and throw an outlet pass to his teammates. Weaknesses: If he wants to become an impact player he needs to improve his running ability and quickness. If he can improve his quickness, he can show his good finishing ability by getting out in the open court and scoring in transition`. While he is a good rebounder he needs to improve his production on the glass. He has to use his superior arm length to grab more boards. Offensively, he is very raw and does not have the good go-to post moves down on the block. He also tends to fumble the away when the ball is thrown in his area.